Product prices and availability are accurate as of 2019-04-20 20:28:03 UTC and are subject to change. Any price and availability information displayed on http://www.amazon.com/ at the time of purchase will apply to the purchase of this product. Author Bookstand is proud to offer Flight of the Erawan by Bookstand Publishing. Bookstand Publishing offers books by the best indie authors throughout North America and the world. Bookstand Publishing is dedicated to offering original content to a broad audience and promoting great authors, literacy, and freedom of expression. 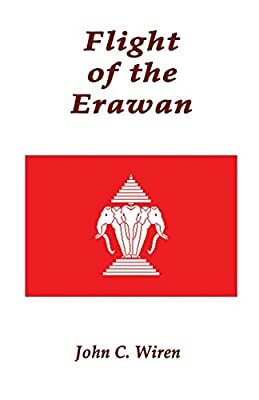 Flight of the Erawan has generated a lot of interest and excitement and we think it would be an excellent addition to your library. From offices fronting for the Central Intelligence Agency in Washington, D.C. to the jungles, mountains and plains of Southeast Asia, the author draws the reader into the "Secret War" of the Sixties in Laos. While the action centers around the maneuverings by Air America in support of the Laotian anti-communist forces against the Pathet Lao and, at that time, the North Vietnamese threat, the author explores the various locales, from Bangkok to Vientiane, from Saigon to Taiwan, and from Japan to Korea that form the background for the "Secret War." If you saw a recent movie that depicted Air America operations, now read a novelized account from someone who was really there, in the air and on the ground.